How do I find my purchased tickets? In order to view your tickets please follow the steps below. Click on your name on the upper right corner and choose "My Tickets". 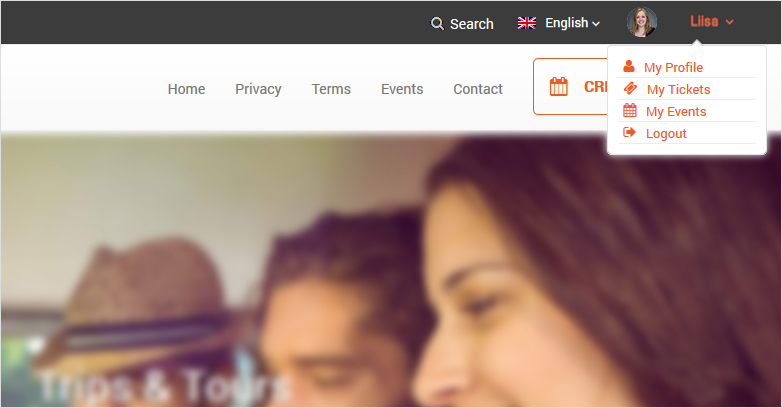 Below "Ticket Information" you can see the detailed information of all your orders and purchased tickets. 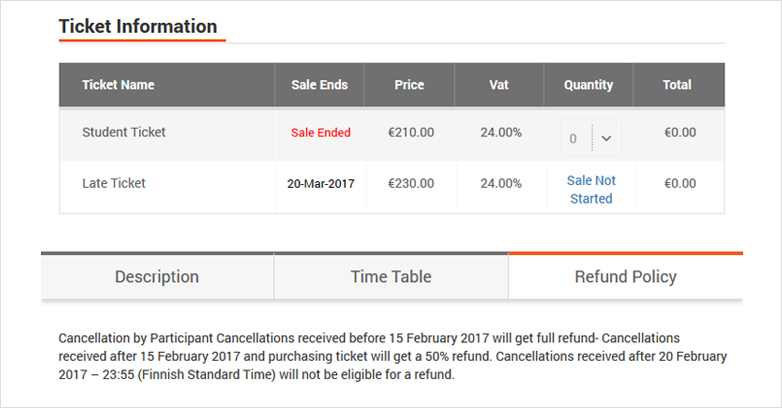 The refund policy is provided by the event organiser, and you can find it on the website of each event, below the ticket information. Click the tab ‘Refund Policy’ to see what kind of refunds are possible. 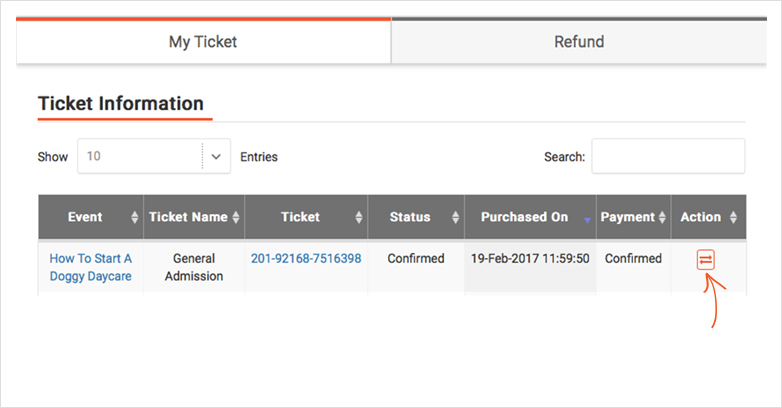 You can request a refund on ‘My Tickets’. 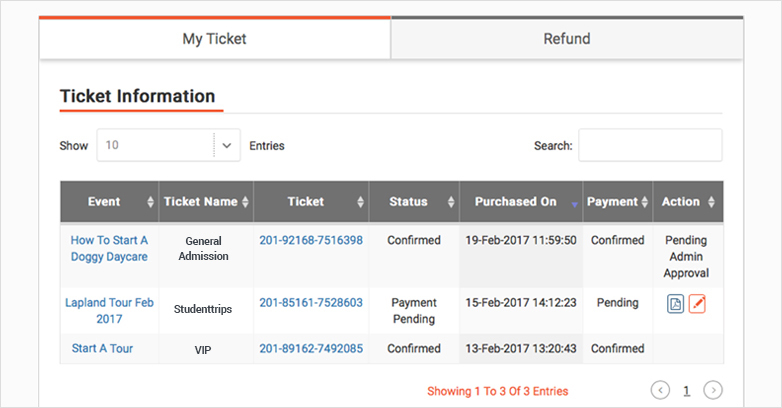 To request a refund simply click the icon below the heading ‘Action’ on the right side of your specific ticket information. A pop-up window will open. Fill in the necessary information and click the ‘Refund’ button. After sending the refund request you will be redirected to ‘My Tickets’. Below the heading ‘Action’ you will see a text ‘Refund Requested’ instead of the refund request -icon. Now your refund request has been sent to the event organiser.